As a native of Chicago, I might be a bit biased when I say that Chicago is the greatest city in the United States. There is so much to do and see in Chicago: from shopping along Michigan Avenue to enjoying the day at Navy Pier along Lake Michigan. In addition to being home to the tallest building in the United States, Chicago is also a Mecca for food. Known for their Chicago style hot dogs and deep dish pizza, you won’t have a problem finding a great restaurant to eat at in Chicago. 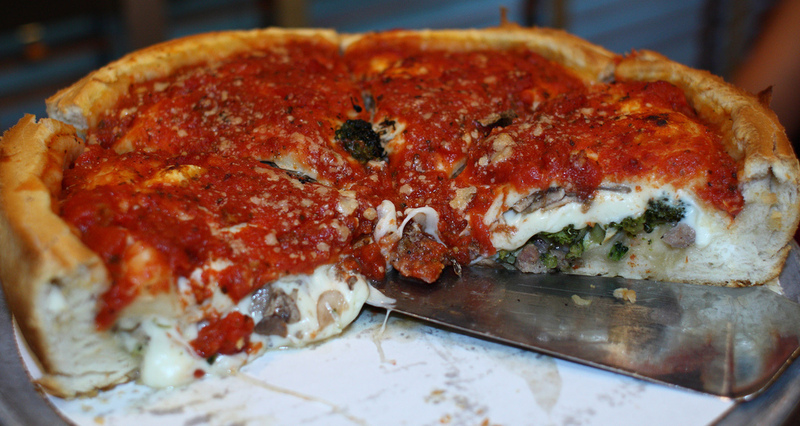 Here are 5 recommendations from a native Chicagoan on where to get great food in Chicago. I’ve brought dozens of friends and family members to these restaurants and they’ve never been disappointed. Enjoy! If you want to get a great slice of Chicago style deep dish pizza, Giordanos is the place to go! Made from the freshest ingredients, two slices of this cheesy monster will leave you stuffed for hours. For those over 21, you can enjoy it with a Goose Island beer, brewed right in Chicago! This restaurant is my friends’ favorite pizzeria in Chicago, but is a close second to the next suggestion below. When rating Chicago style pizzerias, some claim that Lou Malnatis should be number 1, and it really depends on the person. Their pizzas are also made with the finest ingredients, and if you want a meat topping, I highly suggest adding Italian sausage. 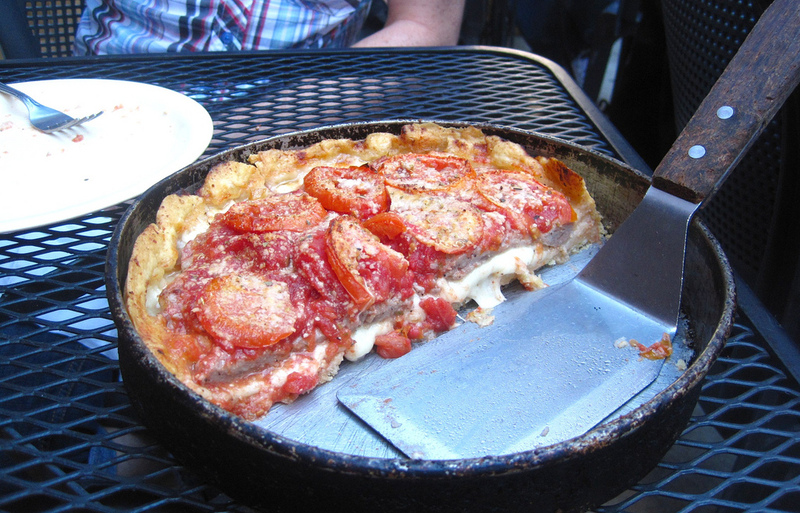 Although not as thick as Giordanos, you certainly won’t be disappointed with your meal at Lou Malnatis. If you’re staying for a few days, try a slice from both pizzerias! Fries, onion, pickles and more! I honestly believe (and many Chicagoans agree) that Gene and Judes has the best Chicago style hot dogs, hands down! 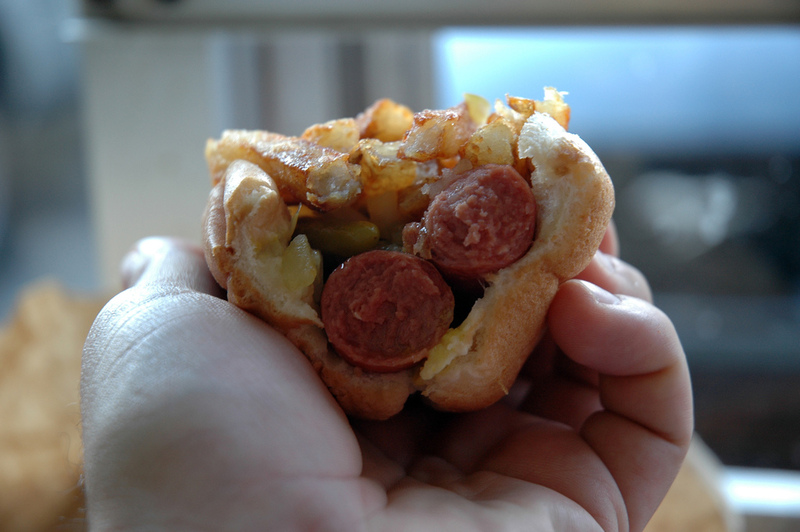 Their Vienna beef hot dogs come with all the fixings of Chicago style hot dog: yellow mustard, sweet relish, tomato slices, chopped onion, hot peppers, pickle spear, and celery salt. Don’t dare ask for ketchup unless you want to be yelled and laughed at! Their fresh cut fries are delicious as well, just make sure that when you get ketchup, you say it’s for the fries. 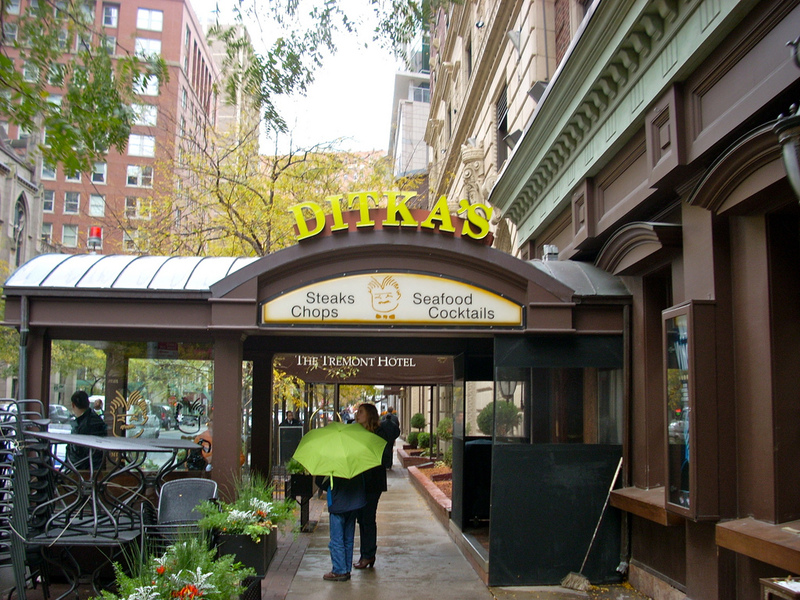 The legendary coach of “da Bears” has started a chain of steak houses in select cities, with one being in Chicago of course. The steaks at Ditka’s are massive and I am yet to hear anyone say something negative about Ditka’s. If the line is very long, Morton’s steakhouse originated in Chicago as well and is a good backup. Portillos is an excellent place to go for lunch and they have something to satisfy everyone! 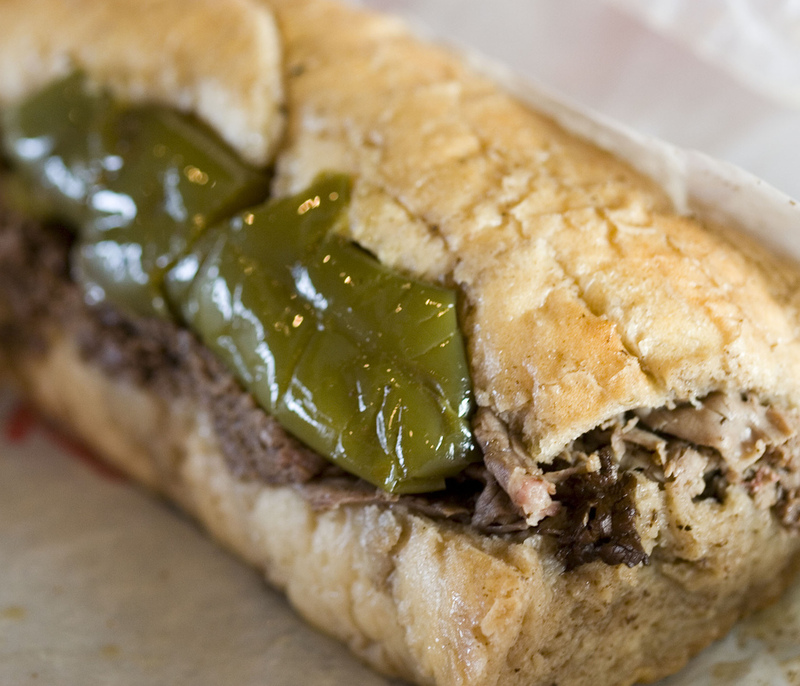 Along with hot dogs and burgers, they have an amazing Italian beef sandwich. To add to their massive menu, they also have great salads and a pasta station. Many believe that their fries are the best you’ll find anywhere! You have to leave room for their famous chocolate cake for dessert! This post was written by Adam, who encourages travelers from all over the world to make at least one visit to his hometown of Chicago. He helps international travelers find the adapters from travelproducts.com they’ll need for their trip. He also helps fashionistas find the trendy shades they’ll need for walking around the town.